Do you know Buenos Aires? The “Paris of Argentina” has its best milongas, restaurants and bohemian bars. We are ready to show you the best of Buenos Aires! This trendy harbor is perfect for walking on a Sunday afternoon or having a drink on the docks! Take photos on the Women’s Bridge and visit the Fortabat Museum where you’ll see paintings by Picasso, Turner and Bernie. 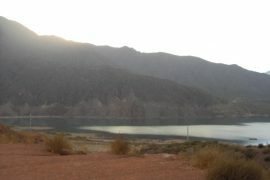 Would you prefer nature? Go for a walk in the Costañera between palm trees and exotic birds! Welcome to the bohemian Buenos Aires! In San Telmo, you can wander between the stands of traditional objects in the typical feria or just drink a coffee at the terrace of old literary cafés : from La Poesia Café to the Dorrego Café, you’ll discover the places which have made Argentinean history. 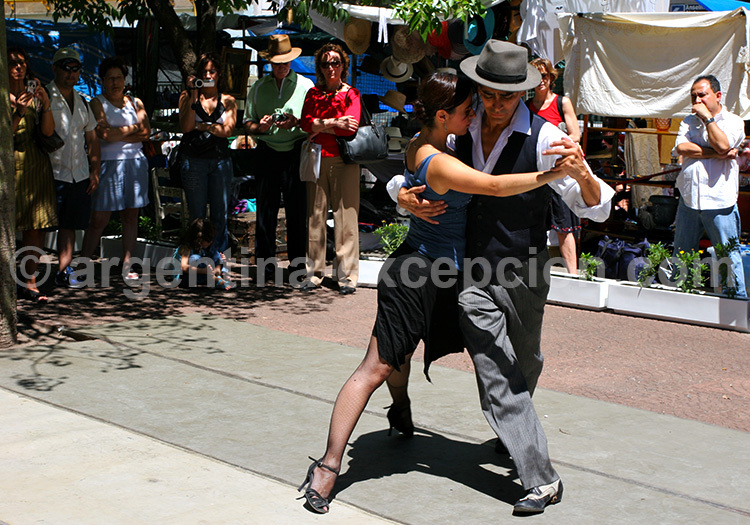 In the Plaza Dorrego, you can observe Tango shows: indeed, this district is the Tango birthplace! 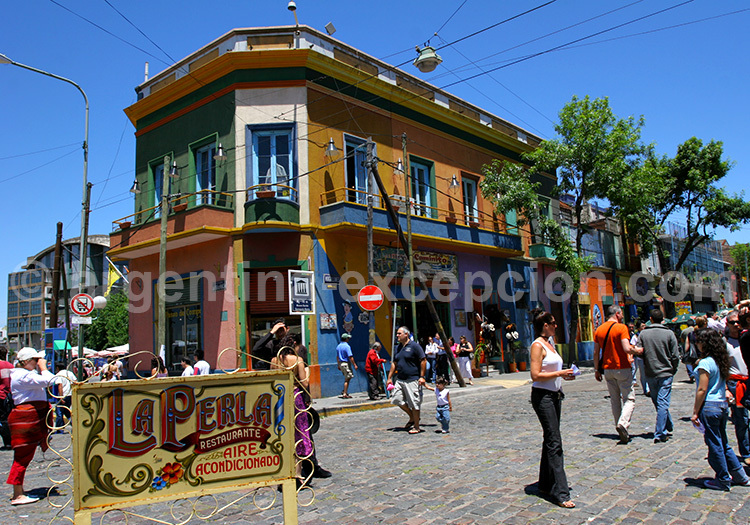 La Boca district is the historic heart of Buenos Aires! This popular district has been transformed by the street artist Quinquela Martín and by urban paintings! Visit the coloured streets and taste one of the delicious meat asados of the street. Would you prefer football? Go to la Bombonera stadium to feel the atmosphere of the football player Maradona’s temple. Palermo is the trendy district where you may go out with your friends. During the day you can visit Palermo Park, and when the night begins, discover the porteña nightlife! Here, there is something for everyone: from alternative bars like the Ferona to nightclubs of high-class like the Terrazas del Este, you won’t be disappointed! Micro-Centro is the financial district of Buenos Aires. You’ll see many busy people, many banks and many firms’ headquarters! Here, you’ll observe buildings from the sumptuous Belle Epoque era. Enter in the commercial and cultural centre, Las Galerías Pacífico, and discover a huge dome with many mural frescos. This is perfect for a return in the beginning of the 19th century. The Plaza de Mayo is the historical centre of the city. It is named after the revolution of May 1810, which was the beginning of the independence. The Casa Rosada, which is the presidential palace, embodies the executive power of Argentina. 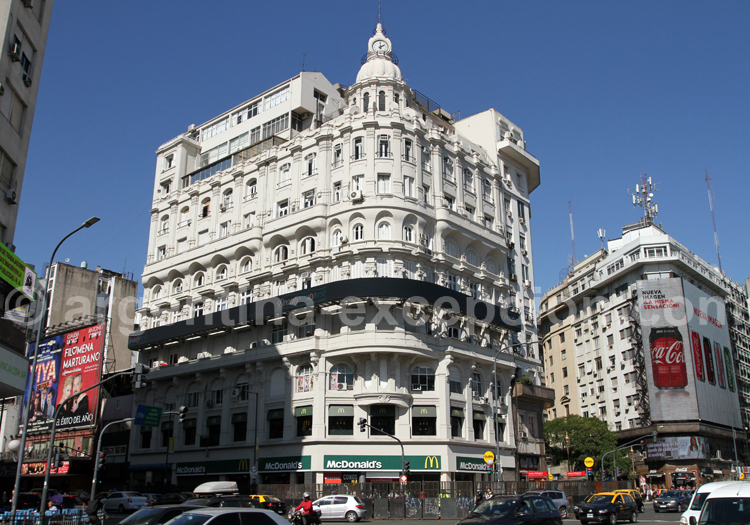 This place witnessed many major historical events, such as Juan Peron’s speeches in front of thousands, or twenty-five years of meetings by the Mothers of the Plaza de Mayo in protest against the dictatorship. It’s a must-see. As its name suggests, the Congreso district embodies the legislative power. It is located in front of the Casa Rosada, at the top of the Avenida de Mayo. 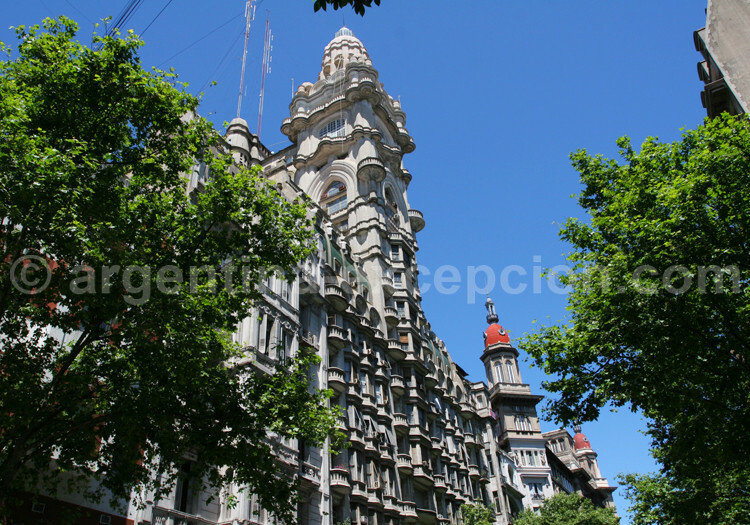 In the Avenida de Mayo, you can have a drink at the Tortoni Café. which is the rendezvous of the porteña intellectuals, or go up in the Palacio Barolo to have the most beautiful view over Buenos Aires! The Avenida 9 de Julio is one of the largest avenues of the world. At the top of the avenue, you can observe the obelisk, which is 65 m high! It’s one of the icons of the capital. 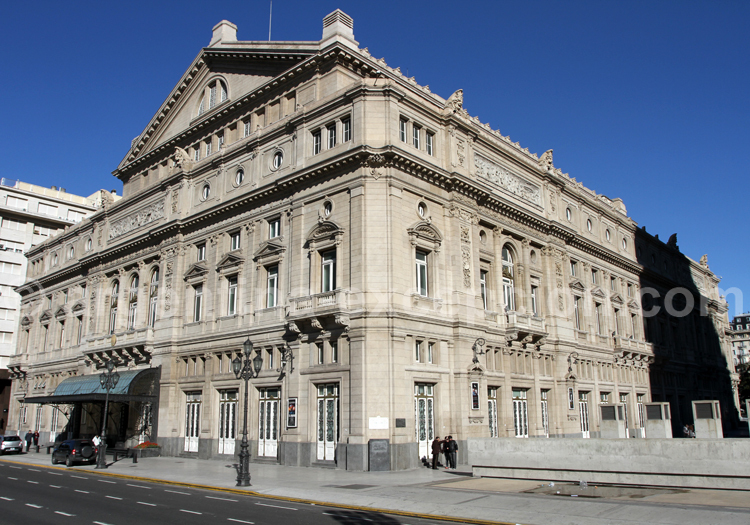 If you like operas, you must visit the Teatro Colon, which is one of the most important operas in the world! Welcome to the “Argentinean Broadway”! 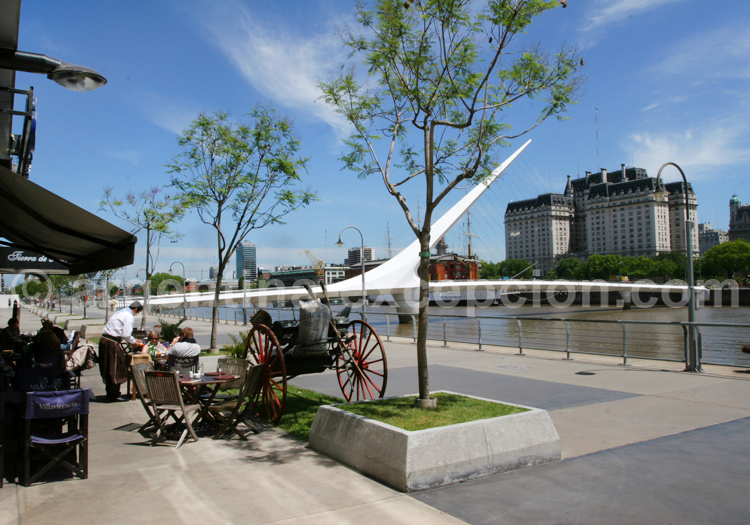 While walking in the Avenida Corrientes, you’ll discover a swirling atmosphere! This district is the place that never sleeps: between the theatres, the cabarets, the cinemas, the bookstores and the many shops, you’re at the vibrant heart of the city! From the famous Teatro Nacional, where Carlos Gardel sang tango for the first time, to the Luna Park, which is one of the most popular concert halls of the city, music lovers won’t be disappointed! Recoleta is the chic neighbourhood of Buenos Aires. In this district, you can admire the most beautiful houses of the city, like the Ortiz Basualdo Palacio (which is the French embassy). 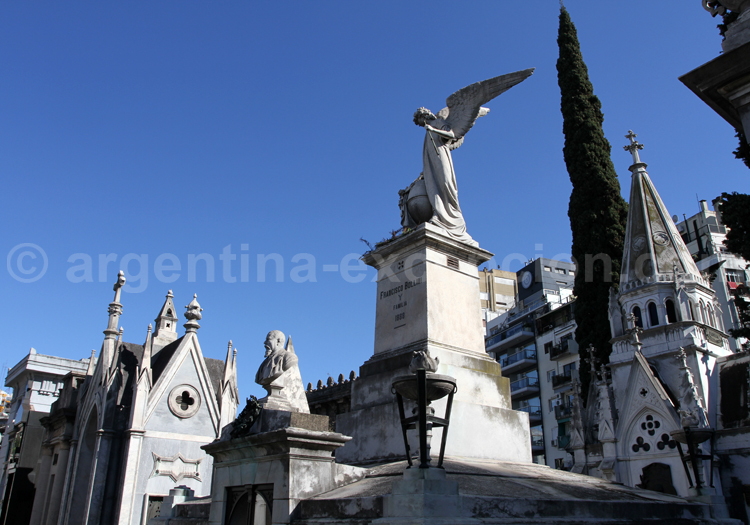 Go to the Recoleta cemetery, which is an open-air museum! See the tombs of Eva Perón and General Sarmiento and go to the Pilar Church. Do you like Art? The Bellas Artes Museum has paintings from the Argentinean artists Xul Solar and Antonio Berni, but it also some sculptures from Rodin and some Manet paintings! Would you prefer contemporary art? Visit the Cultural Centre of Recoleta, which is a real symbol of the artistic effervescence of the country.